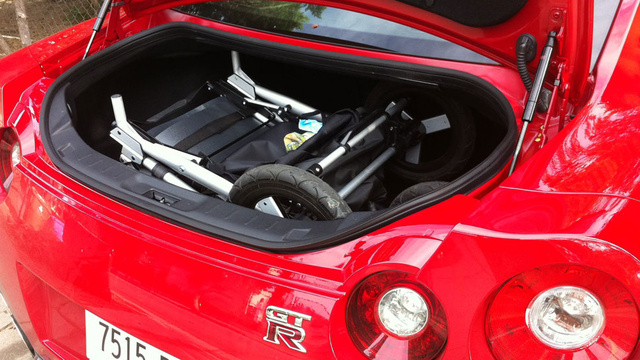 Home > Track Edition > Jalopnik and the Nissan GT-R Track Edition : Will it Baby? Jalopnik answers the ever muttered question of "Will it Baby". Although someone in the comments did mention, its not really a baby, but a toddler. Although I don't really know that cutoff, nor do I want to look it up. The lead picture does say toddler. So if anyone knows the answer to the cutoff between baby and toddler, I really don't need to know. One day someone will tell me, and I will forget it. 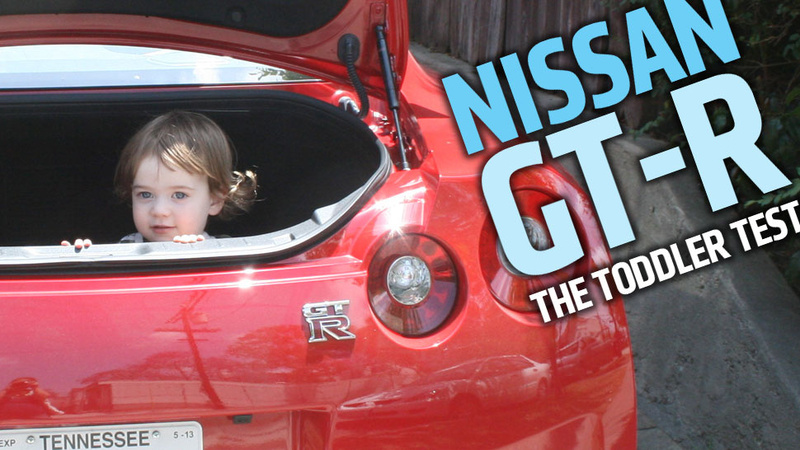 Toddlers fit in the trunk of a GT-R. More than one will fit from the looks of it. A GT-R is a roller coaster ride. Fast, stiff suspension. Will make a lot of people squeel. This car is a Track Edition. No rear seats, but enough points to be able to secure/duct tape a baby/toddler seat in the back. Head over to Jalopnik for the full article.